It takes more than knowledge of the law to defend a business against a customer’s claim. The attorneys at Gaffney Lewis & Edwards have experience defending corporations and business owners in cases alleging premises liability, products liability, professional negligence, and other personal injury and property-related claims. With offices in Columbia and Charleston, South Carolina the firm is strategically located to represent clients statewide. We know that every client is unique. At Gaffney Lewis & Edwards we are committed to developing a thorough understanding of each client’s’ business and its goals when facing the prospect of litigation. Our legal representation of any matter is based on this knowledge and the specific situation. We provide balanced, efficient, and economical representation because we make your business our business. At Gaffney Lewis & Edwards, we represent businesses in a broad range of civil litigation matters, including premises liability, false arrest/false imprisonment, pharmaceutical malpractice, product liability and other tort claims as well as employment related claims brought pursuant to federal and state law. Our attorneys have successfully handled cases and tried cases across the state of South Carolina, in state and federal, trial and appellate courts. With offices in Columbia and Charleston, South Carolina,the firm is strategically located to represent clients statewide. Working throughout South Carolina, our lawyers are keenly aware of the distinctions in the various venues in the state and this experience aids us in assessing each matter with the client’s interest in mind. Based upon our statewide practice, the lawyers in our firm have a broad understanding and familiarity with the bench and bar throughout the state and have obtained defense verdicts in several jury trials in various jurisdictions in South Carolina. We pride ourselves on learning our clients’ businesses, including their core values and goals, and providing representation consistent with those interests. At Gaffney Lewis & Edwards, we are proud to have built and maintained a successful practice that exemplifies a commitment to responsiveness to the needs of our clients and providing superior legal representation in a professional, efficient and effective manner. Our lawyers conduct thorough investigations of the facts surrounding each claim, we assess the strength of the opposition, and evaluate the credibility of evidence to recommend the best course of action to protect the client’s interests and bring each matter toward an efficient resolution. We also practice in the area of alternative dispute resolution, with two of our members serving as mediators certified by the South Carolina Supreme Court. In addition to our litigation and mediation practices, we conduct internal investigations to assess claims and provide advice and counsel to companies on a broad range of employment matters. 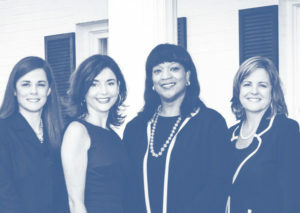 The firm holds an AV rating with Martindale-Hubbell and our attorneys have been individually recognized for numerous achievements, including South Carolina Super Lawyers, Best Lawyers in America and Legal Elite of the Midlands. We pride ourselves on approaching every matter with the objective of obtaining the best outcome by the most efficient means possible by making your business our business.